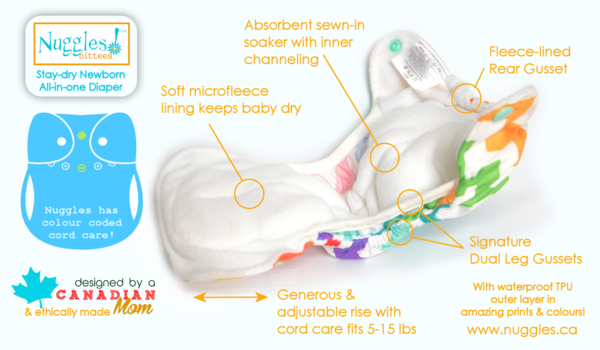 I love the pocket for optional added absorbency, I need it with my heavy wetter. I find the outer leg gusset a bit loose on my slim 8 lb newborn but it hasn't caused an issue so far. Unfortunately the diaper leaks through the fabric brand patch on the bum. Otherwise a really nice diaper and very affordable. I have one of the old style and one of the new ones that has a pocket for extra absorbency. Both work great and have a lot of built in absorbency. My baby is a heavy wetter and I started putting a booster in all her diapers but these lasted on their own for the longest! I do prefer the pocket for stuffing extra inserts, and it's open on both ends so much easier to stuff. I LOVE the prints for these diapers! The newborn AOI fit our guy from about 6 lbs to 13 lbs, but definitely needed to be boosted. I would have preferred two sets of snaps for the legs and waist, but one set made middle of the night changes (especially for my husband) super easy. I really like the leg gussets on these diapers. We did get leaks though when we tried to boost this, as it created leg gaps. 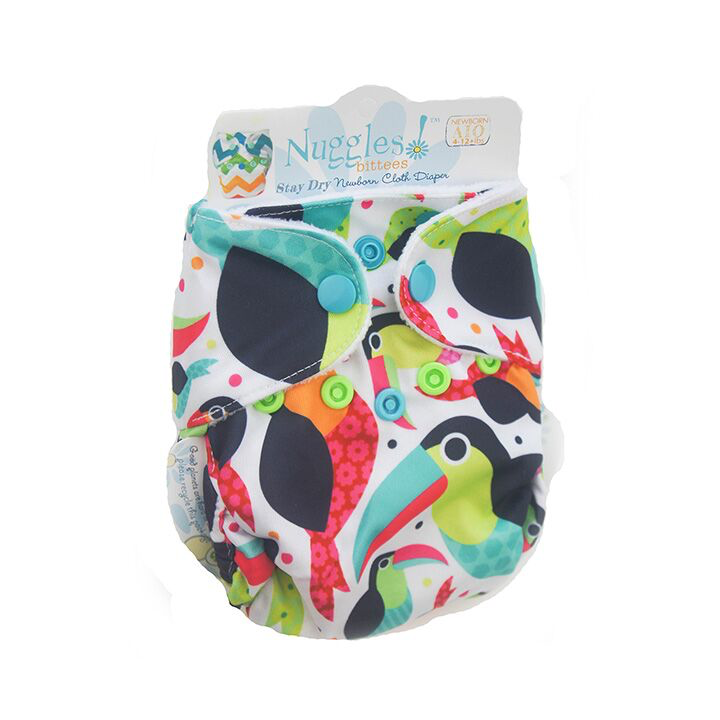 These diapers are not only super cute but also a great size and compact. 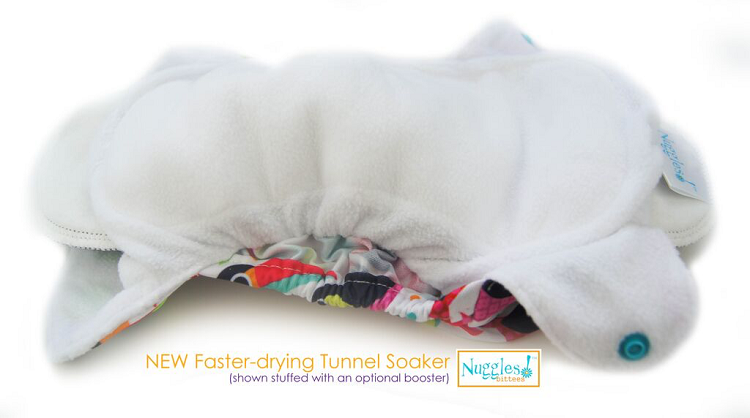 They wash and dry super easy due to the pocket, and gives you the chance to add amother thin layer for absorbing liquids. Also the way that the pul is extra on the legs is a lifesaver as it is thin to get inside of those rolls and help keeps the yuck in! I really like these diapers. 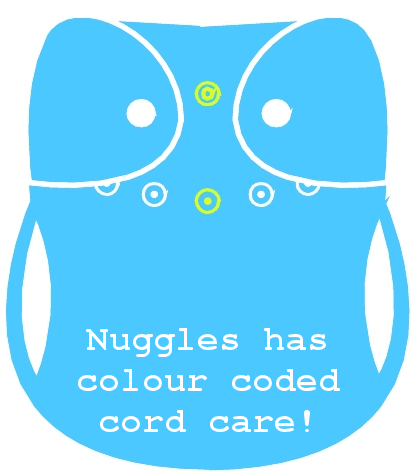 The double gussets are nice, and will fit around newborn chicken legs nicely. There's an opening in the diaper so you can feel if the microfiber needs more drying, which is nice, and also gives the option of adding a booster if need be. The only downside that I found was that the snaps are very secure. I'm always a little nervous about ripping the diaper when I unsnap it. It's probably not much of an issue though.